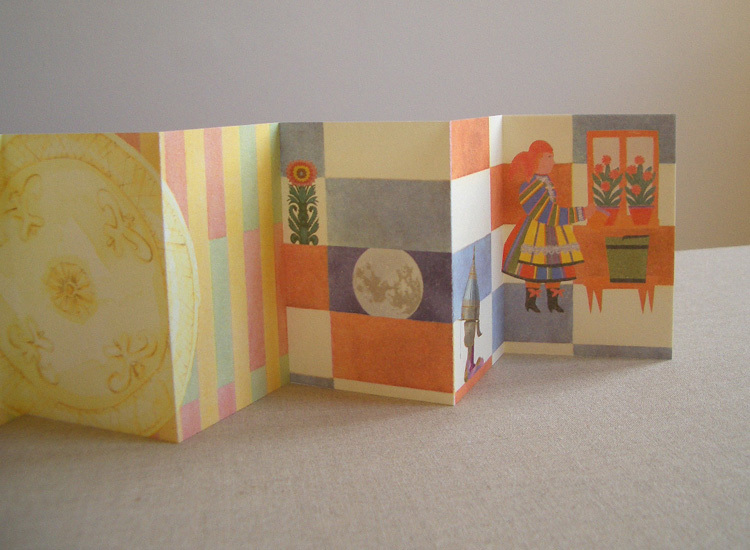 All five were exhibited as part of But for the moon nobody could see us (2008). 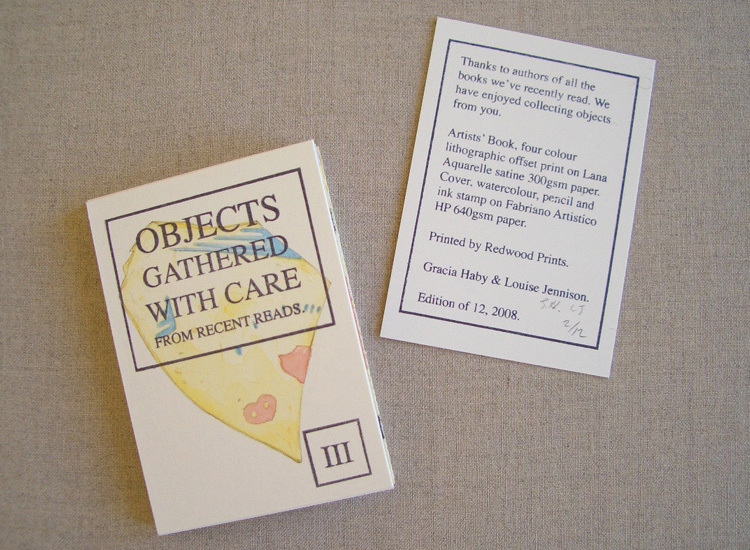 Objects gathered with care from recent reads (I) and (III) were exhibited as part of Secondary Sources (2008). 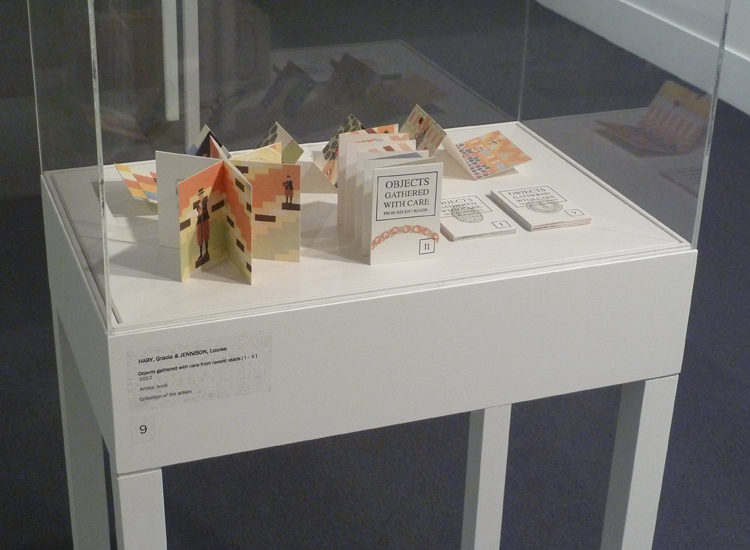 In addition, Objects gathered with care from recent reads I–V, the full set, was exhibited as part of the 2009 Geelong acquisitive print awards, at the Geelong Gallery, Geelong. In a cabinet of their own they sat, two concertina bindings of ours unfurled at full length, three fanned in shape of a star. 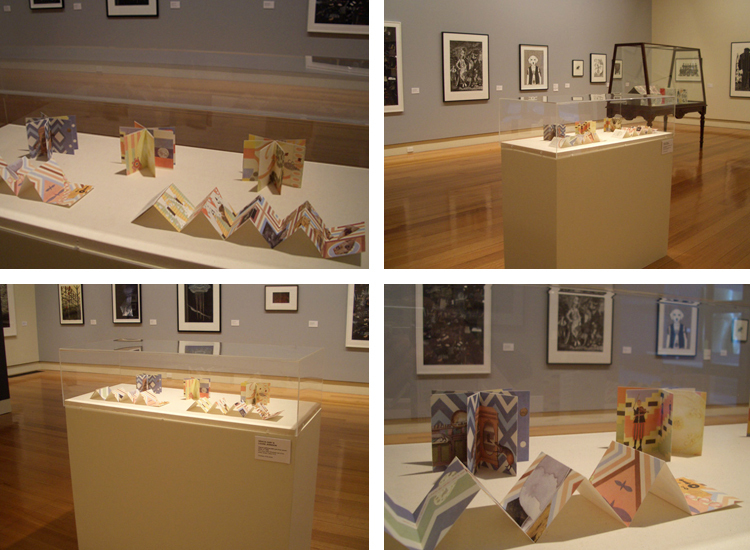 A full set was also recently exhibited as part of Fine impressions: printmaking and artists' books in Melbourne 1999–2010, at the Cowen Gallery, State Library of Victoria, Melbourne. 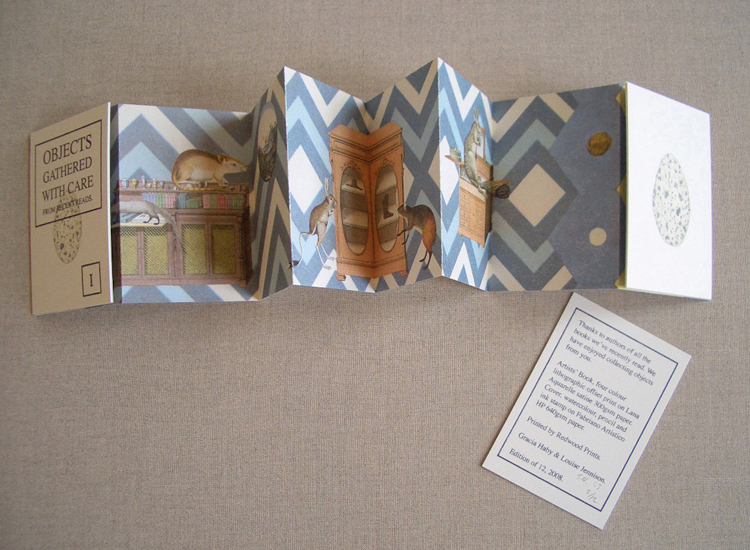 Editions of this book are in the collections of the State Library of Victoria, and the State Library of Queensland. Can you spot the moon? We gathered it from Sense and Sensibility. Can you spot Sabine's bowler hat from her nightstand or Chantel’s red-beaded necklace? How about Fanny’s engagement ring that is "quite the pigeons egg"? Perhaps a daffodil stolen from the gardens in the Louvre for Rudy, or shard of broken glass thrown by Communist protesters? A piece of flint? It’s all in there. Thank-you to all the authors of the books we have recently read. 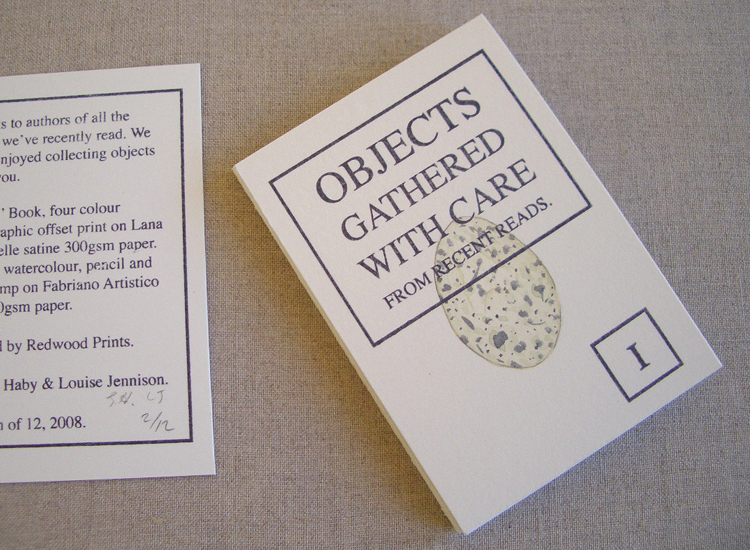 We have enjoyed collecting objects from you. 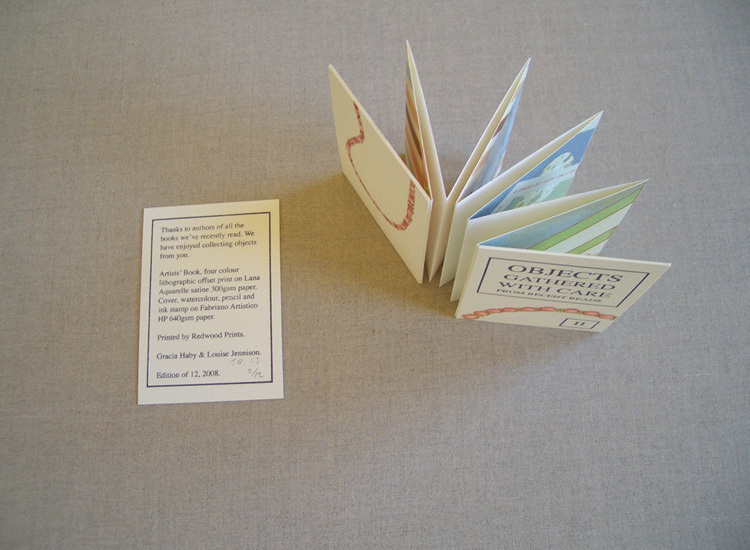 Exhibited as part of But for the moon nobody could see us (2008).